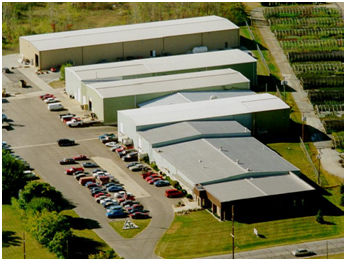 XADS' Corporate facilities are housed in the Anderson Innovation Center in Anderson, IN. Xtreme Alternative Defense Systems (XADS) Ltd., a privately held Anderson, IN based company, is a pioneering producer of Non-Lethal and Anti-Materiel Directed Energy Weapons (DEW). XADS is researching and engineering innovative solutions that seek change the nature of the use of force in the 21st century. With its series of DEW products XADS is offering viable alternatives of protective and defensive measures for military operations, law enforcement, site security, and peacekeeping endeavors. Providing Solutions for the threat of Improvised Explosive Devices (IEDs)/Roadside Bombs. Giving a non-lethal tool to military and law enforcement personnel in the TALI-250X, allowing for a measure to be used between “shouting and shooting”, or “talking and Tasing”. Helping to stem the tide of Piracy with its TR3 long-range laser illuminator, identifying and preventing Piracy attacks on the high seas. Providing Anti-Avian (Bird) laser systems to prevent bird strikes on aircraft, saving lives and equipment. XADS has had contracts with every US military branch, and has also opened the door to the commercial shipping industry, the Department of State, Department of Homeland Security, the Secret Service, and Allied international militaries and law enforcement agencies worldwide. Home | Advisory Board | About Us | Xap | TALI | Press & Media Copyright © 2011 Xtreme Alternative Defense Systems Ltd.